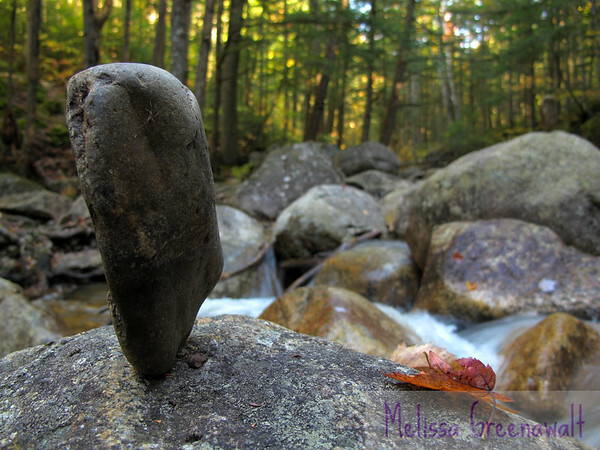 Finding balance in Smarts Brook, Thornton, NH. I've always loved finding the work of the phantom rock balancers, and the leaf (and hiding spider!) were two bonus details when I got in place to take this photo.